Homemade skincare products are increasingly appealing to women. Making their own natural skin treatments gives them complete control over the ingredients in their moisturizers and body lotions. It is no secret that women are becoming more frustrated with the side effects of commercial skincare products...not to mention the lack of results. Here on the Florida beaches, a great many women have become serious students of the anti-aging properties found in natural skincare products they make in their own kitchens. 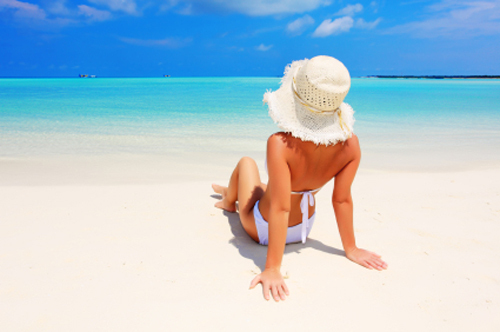 Although they enjoy deep and beautiful tropical tans from our outdoor beach lifestyle, they thoroughly understand the skin-aging factors of wind, sun, and seawater. Natural moisturizers, facial creams, body lotions and sunscreen all provide a woman's skin with ingredients it recognizes and thrives to absorb. Why would anyone want to use chemical-based synthetics instead? Homemade moisturizers and natural skincare products have benefits that manufactured treatments cannot touch. Women are becoming increasingly dissatisfied with side effects such as itchy irritations and allergic reactions from purchased skincare items. * Women want anti-aging products that actually work. They want moisturizers that "give back" to their skin...not take away. * With homemade natural skincare products, women have absolute control over the ingredients that comprise their facial creams and body lotions. * Homemade body lotions and bath oils are guaranteed NOT to contain preservatives, polysyllabic words, or mystery chemicals. * Products made in your own home, from organic ingredients, solidly combat destructive external elements and help regenerate the healing properties found in healthy, youthful skin. * Homemade anti-aging moisturizers and body treatments provide the skin with fuel to repair damaged cells, help prevent wrinkles, and rejuvenate softness. * The natural introduction of anti-aging oxidants into your own homemade creations promote optimal skin vitality. Homemade skincare recipes allow a woman to have complete confidence in the origin, function, and intent of her anti-aging creations. Naturally Skinsational burst on the homemade skincare scene with tremendous success back in February, 2009. 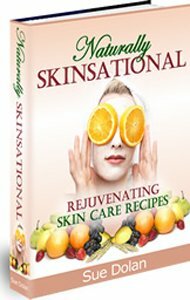 Author Sue Dolan created a best-selling eBook that helped thousands of women learn how to create simple, but effective skin treatments in their own kitchens. * Fox News was so impressed with her naturally created moisturizers and homemade facial treatments that they invited her to come on a special segment to demonstrate the ease in making these products. * Inexpensive, informative, and easy to understand...Sue's book comes in digital form so that you can download it to your computer desktop and begin using it immediately. * It also comes with a 2-month, 100% refund if you are in any way dissatisfied it. * Sue's book provides over 150 recipes to help you create simple and pure anti-aging treatments that enrich your skin and keep it youthful. If you are considering a move away from skincare products that contain preservatives, alcohol, or petroleum-based ingredients that are being absorbed into your skin...Naturally Skinsational may be the resource you are looking for.